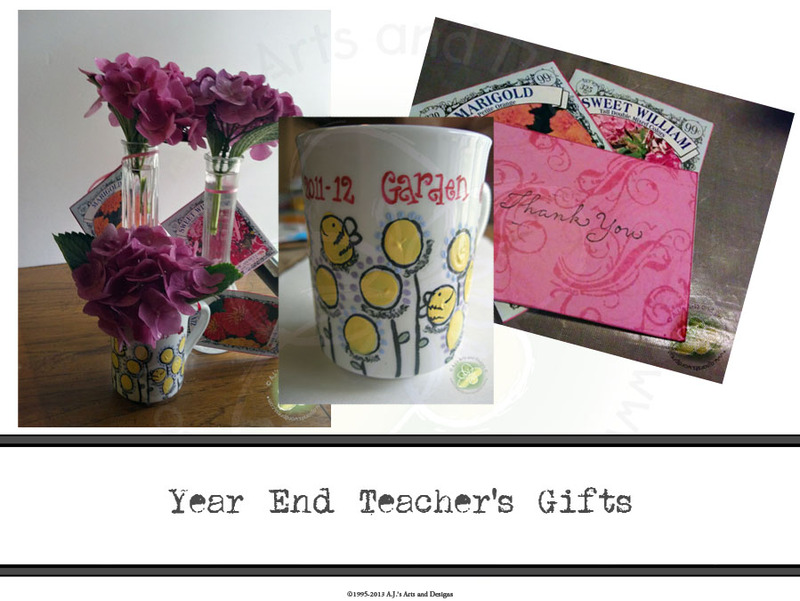 Year End Teacher Thank You Gifts | Who Are You Calling Crafty? 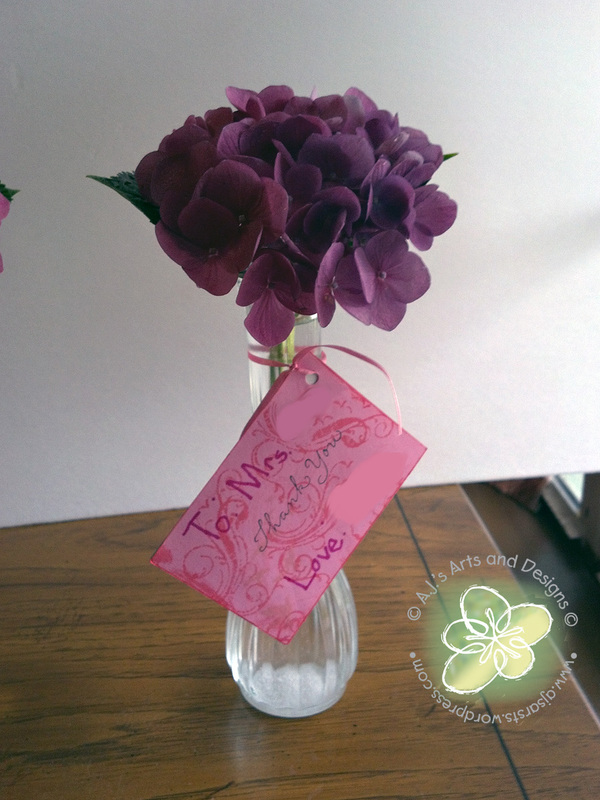 Every year I try to think of something different to say Thank You to my daughters teachers. 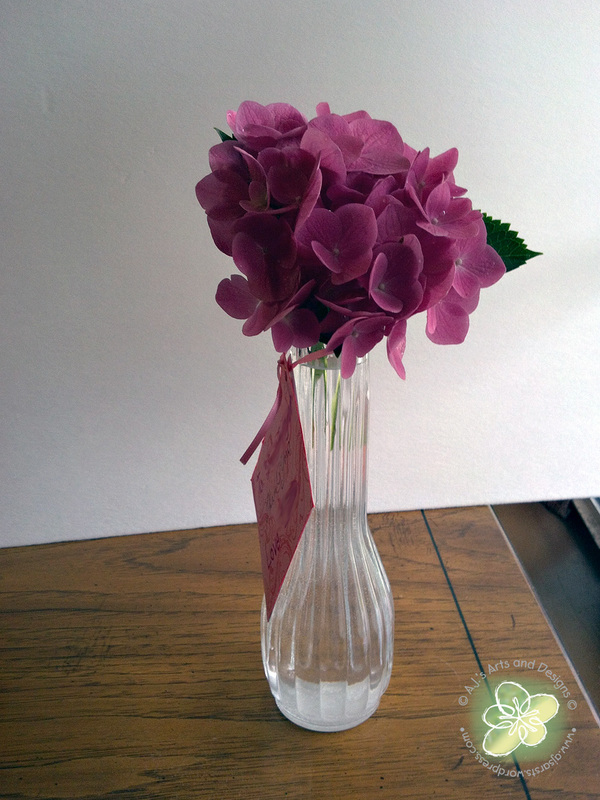 This year with the help of my hydrangeas blooming a month early I had beautiful pink hydrangeas to share. 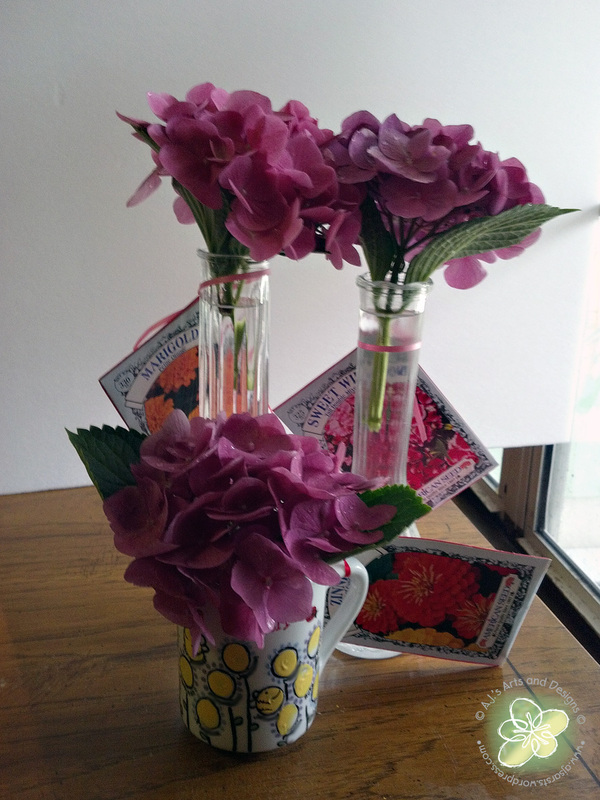 I also had seed packets that I decided to share with them as well – I picked them up at the Dollar Tree (honestly they are the only seeds I can grow – lol). Creating some stamped paper with my Tim Holtz Distress Ink Pads I created a one of a kind paper. 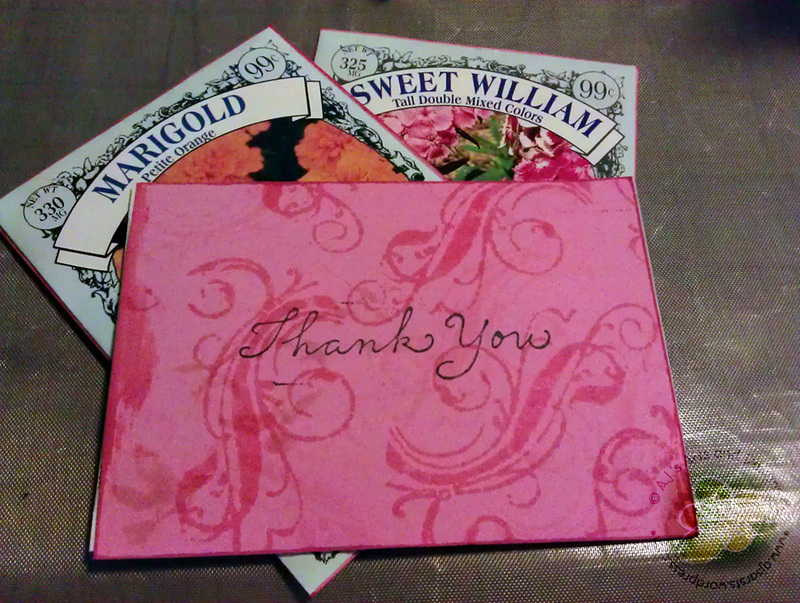 I took my Thank You stamp and stamped it in the middle of each card and glues it to the back side of the seed packet. 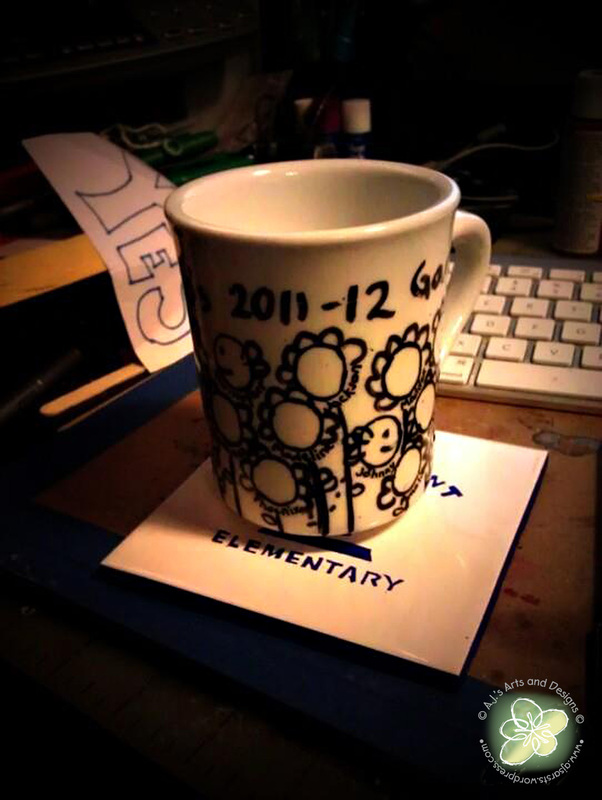 The coffee mug was almost 4 months in the making it was originally going to be a surprise for my daughter’s teacher but surprising her turned out being way more difficult than I had planned. I ended up spilling the beans so I could actually get it finished. 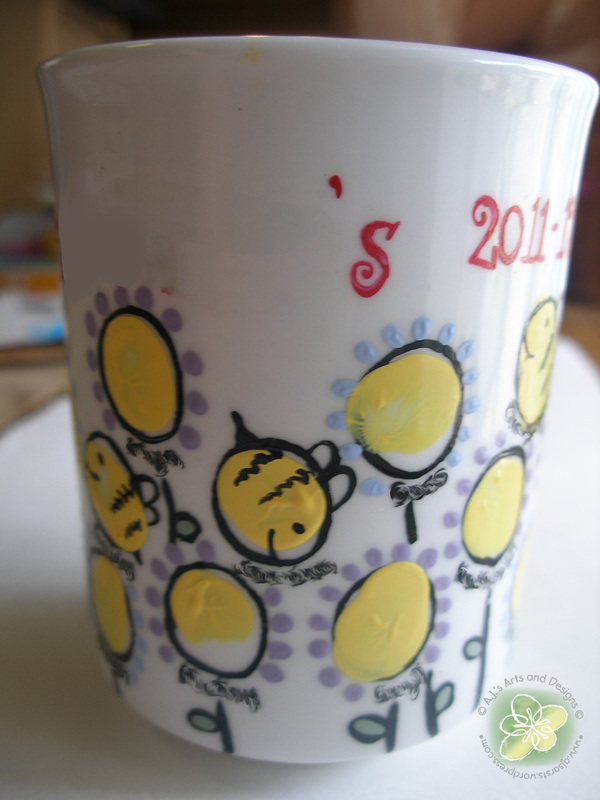 I used PLAID® Enamel Paints on the coffee mug. 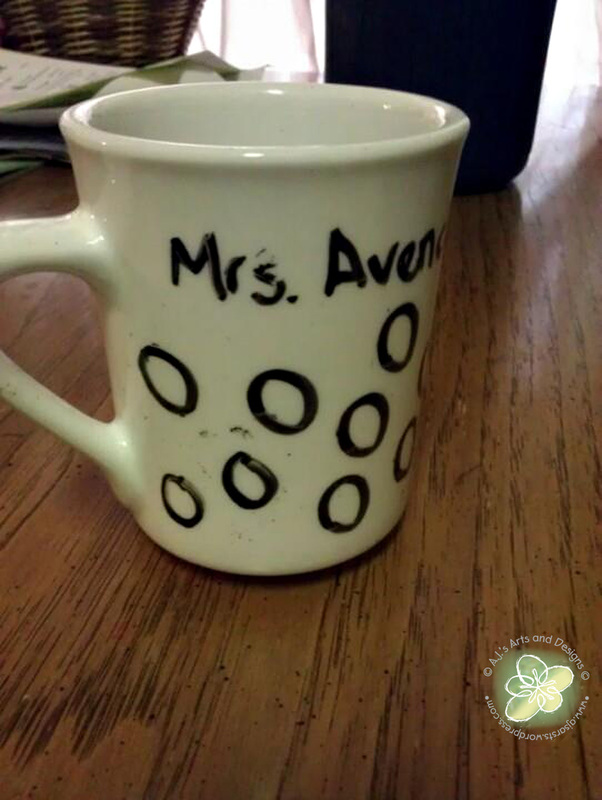 Each circle will contain the fingerprints for every student in the class (their names under each fingerprint.) 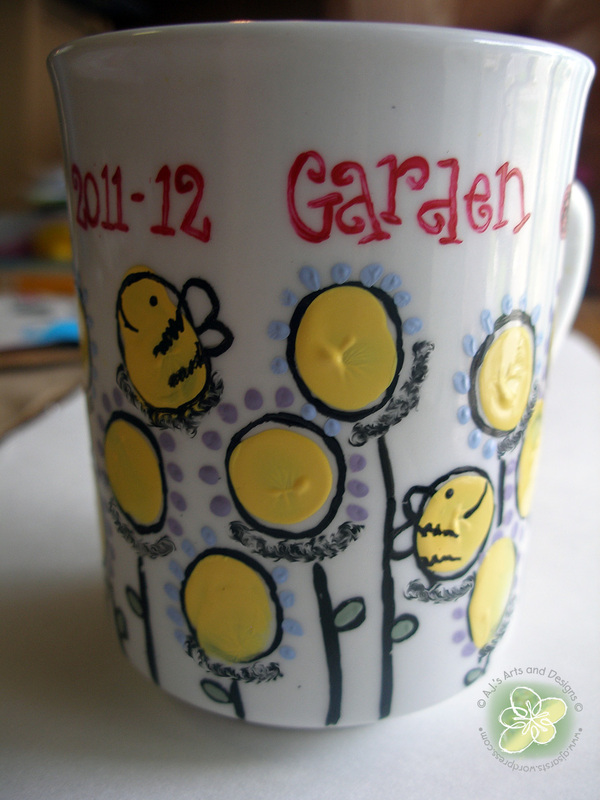 The idea came from my friend Leslierahye – she did a fundraiser and did the bees on a bucket with paint, it was so cute! 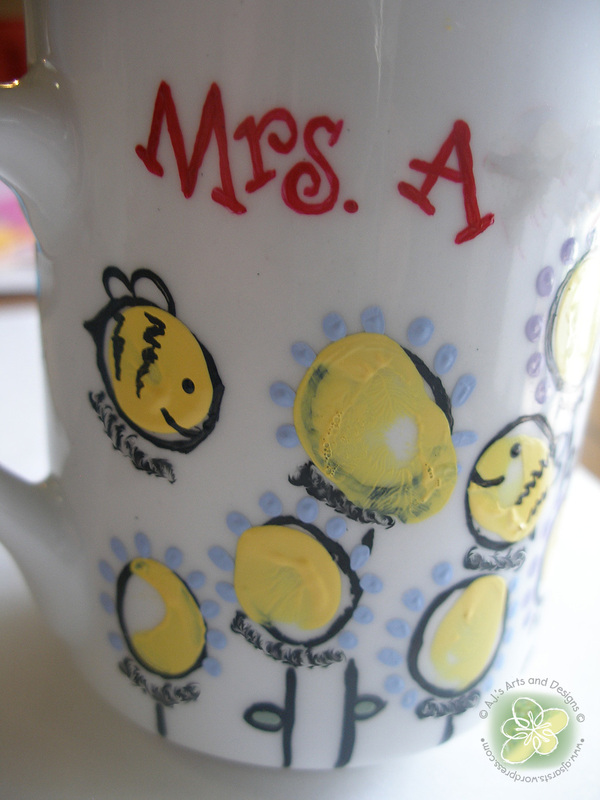 I hand painted everything, including the names with a liner brush. 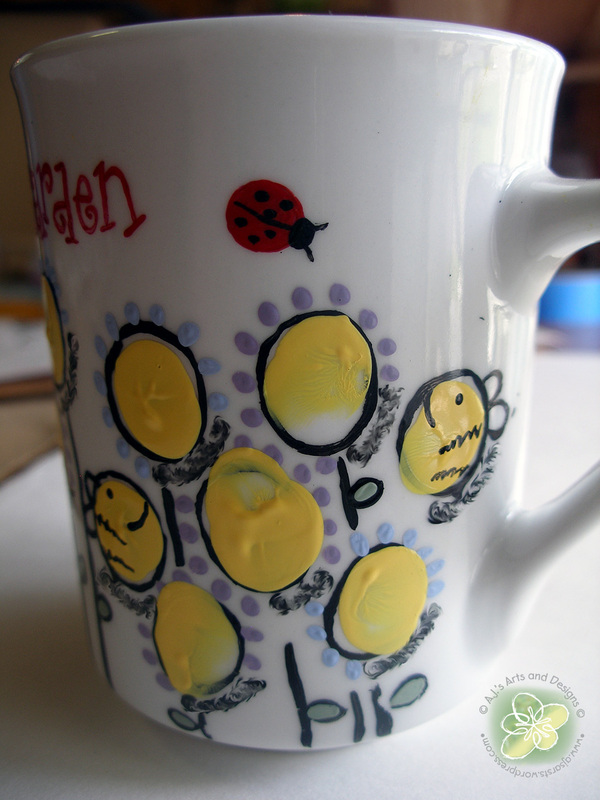 I ended up bringing the yellow paint with me to school (for a function this week) so I could get the mug finished. I also set everything with my oven 350 degrees at 30 minutes. It is now top rack dish washer safe! 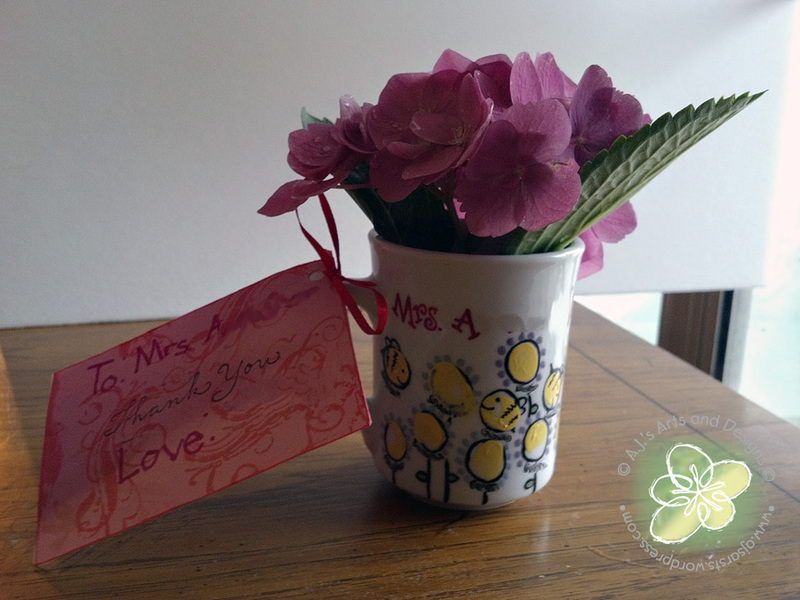 Please Note I did smudge out all the names of my daughter’s teachers and classmates but it does not take away from the mug. All three gifts for three amazing ladies who made an amazing, lasting impression on my daughter and her classmates lives. I love them all so very much!